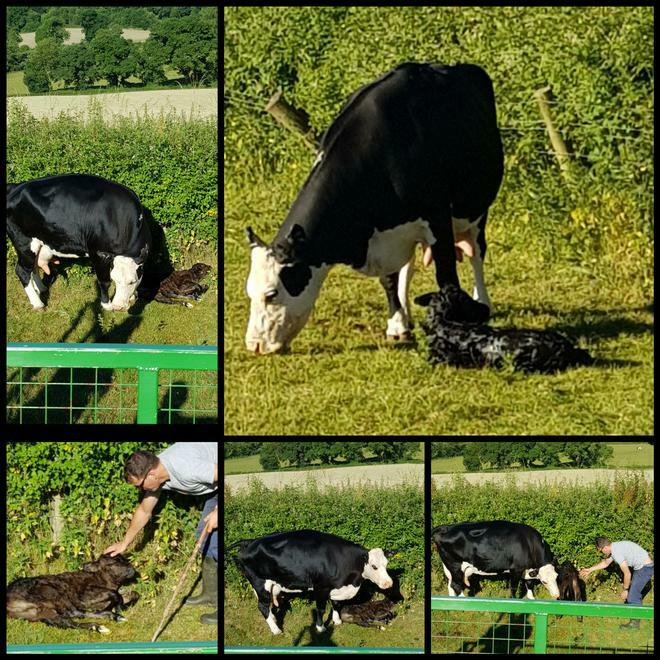 It was a lovely summer morning when group 3 went on an unexpected adventure to see a beautiful calf that was born into a beautiful world. The mother cow was having difficulties trying to give birth alone so the farmers (David and Simon) stepped in and tied ropes to the calf’s front legs and with a lot of effort they managed to help deliver the calf. After a short pause, which felt like a life-time, the calf took its first breath. The bull calf was named Simon after the farmer; it was the farmer’s birthday today!!!!!! As soon as Simon was born, he and his mother bonded as his mother licked him clean. Within an hour, he was walking; slightly wobbly. When group 2 returned to the field to check on the cute calf and its mother, group 2 and the farmer were elated to see that the calf was walking steadily and was drinking its mother’s milk!